Augmented reality is the name given to overlaying digital information in the real world. ProjectionWorks projects CAD information onto the real part to assist workers. ProjectionWorks enables workers to understand, perform and deliver work tasks much faster than previously possible and without error. 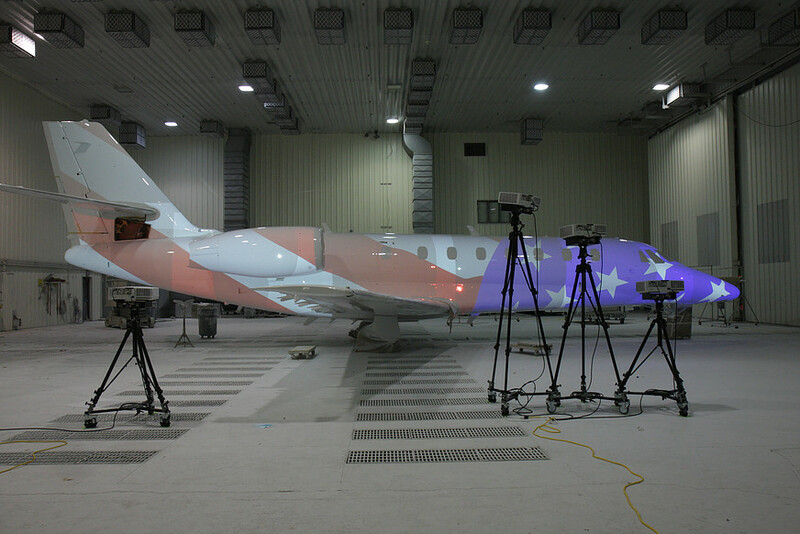 It uses projectors to guide a worker through complex tasks. It was designed and created by Delta Sigma Company (DSC) in the USA for use of the F22 and F35 programs. It is widely used in aerospace but offers benefit wherever there is a lot of information to understand to complete a task. A3L work closely with DSC to deliver solutions in an around Europe.